Riverside Plaza, originally Cedar Square West, is a complex of eleven residential buildings rising above a low density neighborhood near the Mississippi River. It is also the last standing iconic work of architect Ralph Rapson in his hometown of Minneapolis. Rapson was conscious of the bold expression of the Brutalist style complex, especially in a low-density neighborhood; thus, he designed the buildings to be of varying heights and sizes surrounding the 39-story McKnight tower at the heart of the development. In addition, he adorned the buildings with red, yellow, and blue panels which served to downsize the large concrete buildings to a more human scale. Ralph Rapson was the mastermind architect and urban planner behind the Cedar-Riverside development. 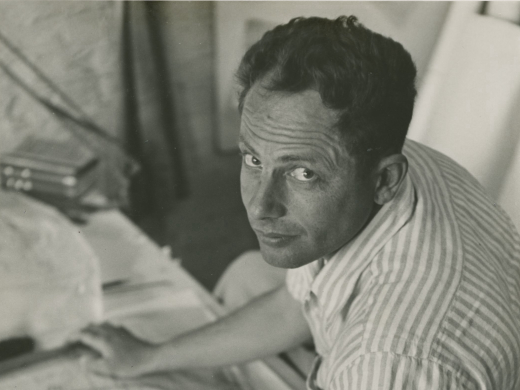 The architecture firms Gingold-Pink Architecture Inc. and Sasaki Walker aided Ralph Rapson in his design, as well, as did architect Lawrence Halprin. In the mid 1960s, the neighborhood of Cedar-Riverside, located one mile from downtown Minneapolis on the west side of the Mississippi River, was considered culturally vibrant but aesthetically and physically blighted. The city of Minneapolis called for plans for urban renewal and eventually awarded the project to the newly-formed real estate development firm, Cedar-Riverside Associates (CRA). CRA, in conjunction with architect Ralph Rapson, proposed a plan for an urban utopia that would stretch over 300 acres and accommodate, in dense high-rise buildings, 30,000 people. The community would accommodate people of all ages, race, and socio-economic status and would be in a sense self-sustaining as it would included extensive social programming, recreation centers, retail, parking, and open space. In 1974, Stage I, Cedar Square West, was completed. Cedar Square West includes 11 buildings housing 3,000 units. This was to be only 1 of 10 proposed stages that would take place over the next two decades. However, due to social, political, and economic forces that will be discussed below, Stage I, Cedar Square West, was the only portion to ever be completed. No significant alterations have been administered to Riverside Plaza. Riverside Plaza remains residential with commercial space on some of the first floors. Over 50 percent of the units are withheld for low-income residents. Little maintenance work has been administered to Riverside Plaza since its completion in 1974. An elevator was added to the McKnight building to improve circulation and the creation of a light-rail transit system has altered transportation surrounding the premises. No other significant construction or renovation has been done and this is confirmed by Ralph Rapson's architecture firm. Cedar Square West is a complex of 11 residential buildings designed in the Brutalist style. The tallest building, the McKnight tower, is 39 stories high and most visibly reflects the notion of \"honesty of materials" in its exposed concrete and steel frame. Ralph Rapson was conscious of the somewhat harsh expression of the Brustalist style, especially in a low-density neighborhood. thus, he designed the other buildings in Cedar Square West to be of varying heights and sizes, all shorter than the McKnight building. The varying sizes of buildings along with the many open spaces softened the edges of the complex to meet the boundaries of the older portion of Cedar-Riverside. In addition, he adorned the buildings with red, yellow, and blue panels the size of a door. These expressed a cellularity, shortening the huge concrete buildings to a somewhat human scale. Cedar Riverside was originally settled in the 1850s by Scandinavian immigrants who sought jobs working in the mills and for railroad companies. By the early decades of the 20th century, it was a thriving community of low-density, two story buildings. Following WWII, the population of Cedar-Riverside steadily decreased in large part due to the expansion of highways, which isolated the neighborhood. The loss was felt deeply economically and the built environment suffered. Still, the community remained vibrant, home to people of all ages and races. However, when the University of Minnesota expanded into the area in the 1960s, it labeled Cedar-Riverside blighted and called for redevelopment. The buildings forming Cedar Square West are constructed in the then popular Brutalist style of exposed concrete cloaking a steel frame. There was no short in social debate surrounding the development of Cedar-Riverside. The University of Minnesota began calling for redevelopment plans in 1965 and by 1968, Cedar-Riverside Associates (CRA) had bought up the majority of available land. The following year, Ralph Rapson, a modernist architect who was the head of the architecture school at the University of Minnesota and had trained under Eliel Saarinen, formulated the first plan for redevelopment: 50 acres in the middle of Cedar-Riverside would be cleared and rebuilt with structures ranging from townhouses to 20-story towers containing 7,000 new units at low-income to luxury rentals. That same year, Senator Henry McKnight became a full partner in CRA and advocated a New Town-in-Town (NTIT) concept for the redevelopment. In 1970, the Federal government passed Title VII with provisions for the NTIT program and in 1971, CRA was named the sole developer and received $24 million in Federal aid. Ralph Rapson, partnering with other architects, urban designers, and a sociologist, reconstituted his design to make it larger and have a more social concept. The complex would now cover much more acreage and house 30,000 people of all economic, ethnic, and social backgrounds. The units would range from walk-up townhouses, to two story apartments, to one floor spaces in 40-story high-rises. All economic backgrounds would be accommodated so 20% of the space would be left open for low-income residents. Low-income units would have the same layout and be designed with the same materials as all the other units and would be dispersed sporadically throughout the complex. The complex would be self-sustaining, meaning it would have on its premises stores, a school, daycare, social programming, and much open space.However, before ground even broke, an opposition group formed voicing concern over their perceived lack of community involvement in the development plan and the impact high-density residences would have on their community. In 1970, ground was broken for Stage I and in 1971, Cedar-Riverside Environmental Defense Fund (CREDF) brought CRA and HUD to court for failing to meet requirements on the Environmental Impact Statement (EIS). The court stopped CRA from further development until the EIS was revised just as Stage I, Cedar Square West, neared completion. Cedar Square West opened, then, in 1974 and the EIS went through a public hearing again against much opposition from CREDF. The EIS was finally approved in 1975 but due to the mounting legal fees and the national recession, CRA was not able to begin on the additional 9 complexes (27,000 units) that were planned. By 1976, the case and project were considered moot. Aesthetically, Cedar Square West is an homage to a stylistic era in which beauty was found in the honesty of materials. Function is expressed on the outside through the use of a grid and human scale colored panels. The exposed concrete is not hidden by paint or cladding. Culturally, Cedar Square West comprised the first form of high-rise living in the city. In the early stages of design (late 1960s) conflicts surrounded this idea as studies had recently been published about the detriments high-density living had on child development. A few years later upon completion, however, high-density living was being touted as the most environmentally friendly manner of living. 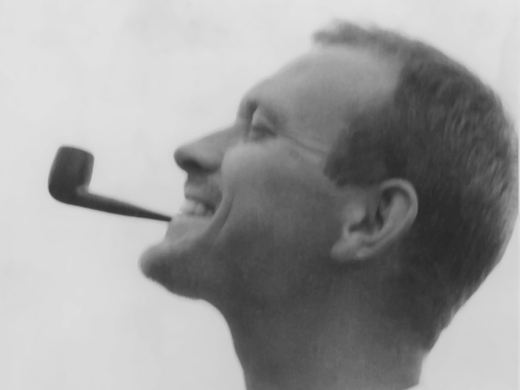 Ralph Rapson firmly believed in the ability of architecture to shape society for the better. He believed people of all backgrounds could live harmoniously together. Thus, he created a variety of spaces ranging from townhomes, to one-bedroom apartments, to luxury penthouses all in one compound. All types of spaces could be reached in many manners and directions. Pedestrian routes, in the forms of walkways and skyways located at multiple grades, were kept firmly apart from vehicle routes. Cedar Square West met with much controversy (as discussed in the Social section) and was received with much distaste. As only one-tenth of the entire planned development, Cedar Square West stood out to its neighbors sorely amongst the old, low-density neighborhood. At the time, there were no other high-rise apartment buildings to soften the massing of the complex. To this day, no building in the neighborhood ventures near the height of the McKnight building. While the aesthetic and social aspects found in Cedar Square West could be seen in previous designs including Le Corbusier's Unite d'Habitation and the high-density living style eschewed by Gropius, few if any apartments of this design and scale existed in Minneapolis at the time. The community was not familiar with the different type of living that went along with high-rise development and therefore met the development with apprehension which took the form of opposition.